The “life is a two-way street” analogy is common in a lot of aspects of human life. The best personal relationships, the best tools of repair and their operators, the best musician and the instrument…they are all about the right combination of two parties. The same goes for web marketing and search engine optimization (SEO). Oddly, a lot of professionals don’t think so. They often get confused about all the options and intricacies of doing the business that they think you need a lot of parties just to get one business job done online. But, if you are working with a web marketing company, it’s all about the cooperative two-way street. Numero Uno Web Solutions Inc. recognizes this. Being part of the digital business hub in Toronto, Canada has made us so. We know that clients want the best, and as a premier web marketing company in Toronto, we want to both build and work the best kind of client-agency two-way professional street possible. How do we do this? Right off the bat, our group of Toronto SEO experts acts as our own personal client care specialists. They can assess your business to see what is needed to make it better for online activity. Perhaps it’s a revamped pay-per-click (PPC) campaign or some custom content creation that is necessary. Whatever the case, our team can work with you, show you some great recommendations, and take action as necessary from there. Numero Uno Web Solutions Inc. builds its client-agency two-way street leading to success brick by brick. That is to say with you, one-on-one. As well, we expect that anyone seeking us out is going to demand the best. They’ve dealt with another Toronto SEO company or cheap SEO company in Toronto, and not gotten the results they wanted. Our prospect clients might ask: “Are you just an article submissions company in Toronto, or do you do keywords, social media, and content as well?” Or “If you use PPC, how much is this going to run me?” These can be tough questions, but only for those unprepared to answer. 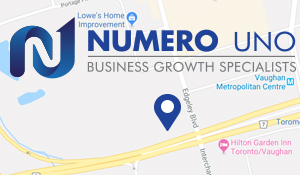 Numero Uno Web Solutions Inc. aims to be the best web marketing company in Toronto—and elsewhere, at that—so, we are ready for the hard questions from our clients. In addition, we aim to use our Toronto SEO experts to not only answer the tough questions, but also deliver the best results for them thereafter. If the road to success is a real, active one, Numero Uno wants it to be working at its best. The two-way street of success can be a tough one, and even tougher for those web marketers that can’t meet the challenges they say they can. But, Numero Uno Web Solutions Inc. isn’t like the others. We help our clients build the road to success, and then keep it going for a long, long time thereafter.